Login accounts are created for parents / guardians who provided an email address to their child’s school. The username and temporary password are sent to this email address. If you have not received your temporary password, check your junk mail box. Pop-Ups must be enabled for certain features of the site to work properly. When logging in for the first time, you will be prompted to change your password and establish a security question. 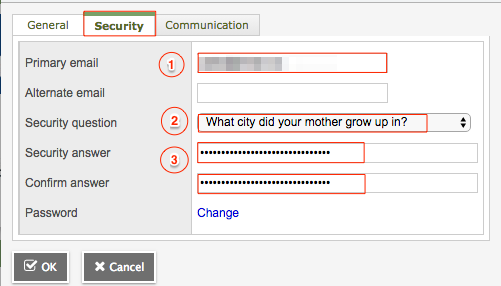 It is important to remember your security question as it will allow you to recover your password if you forget it. You must use a laptop or desktop (not a mobile device) to initialize your login account or reset a password. Some work computers and most mobile devices (phones or tablets) may have a server firewall or pop-up blockers that prevent access to the site. Once your login account is activated, you can use a smartphone to access all system information. Sign in with the access codes that were emailed to you when your account was created. 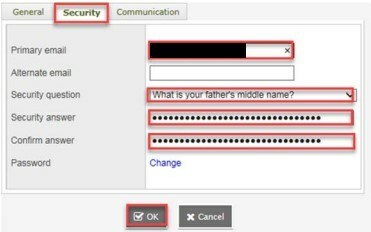 You will also be prompted to configure a security question so that you can click on “ I forgot my password ” to receive a new password. Step 1 – Enter your email address (** It must be the one provided at your child’s school). This address will be used to receive a new password if you forget it. Step 3 – Enter your security answer and confirm your answer. 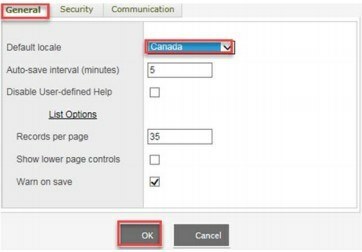 Step 2 – Choose the default location to Canada to get the correct format for the date (day / month / year). Step 3 (Optionnel) – You can change your password and / or security question in the Security tab.